Ever since reading The Noodle Narratives: The Global Rise of an Industrial Food into the Twenty-First Century (Errington, Gewertz and Fujikura 2012) late last year, I have somehow never been able to get ramen out of my mind. Then again, I have always enjoyed eating ramen. So imagine my surprise when I heard that there is a Korean version that is made with cheese. Ramen with cheese sounds very unappetizing, but when I heard that a restaurant in town that serves it, I just had to try. While I would’t say it was great, it was interesting. The broth was a bit spicy and salty–no miso, which wouldn’t go with cheese. 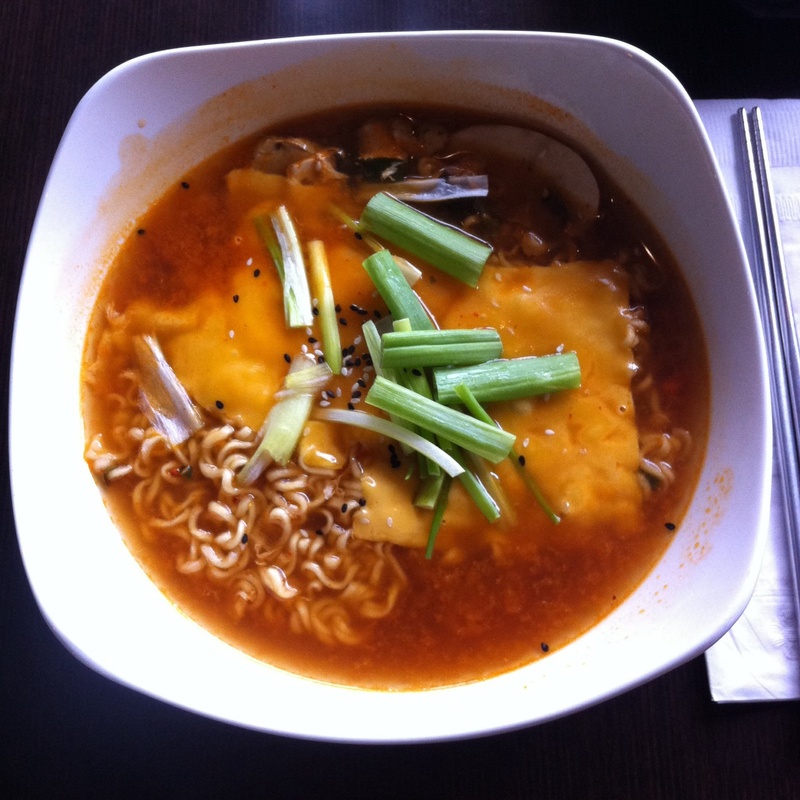 The cheese basically was an umami flavor–like mushroom or pork in a traditional ramen. The crunchy green onions were a good contrast to the gooey cheese and soft noodles. I could imagine having it again.